The build-up to India’s Test series with Sri Lanka has been somewhat overshadowed by the continuing coverage of Sachin Tendulkar’s 20th year in international cricket, but with top spot in the ICC Test Rankings up for grabs, the contest has much to offer. Sri Lanka’s record in India suggests that the tourists will face a tough task. The bulk of responsibility for scoring runs is likely to fall on the usual suspects, who have in the past made huge scores on benign pitches but struggled in difficult conditions. As for the bowlers, only Murali has a strong track record in India, so the others will need to step up if the side are to succeed. Herath should edge out Mendis for the second spin slot, although the latter’s magical showing against the same opposition last year may inspire his inclusion at some stage. For the hosts, Zaheer Khan’s return (along with Sreesanth) should revitalise the pace attack, whilst a chief concern could be adjusting back to Test cricket after more than six months of limited-overs matches. The lack of Test matches has been picked up on by the man of the hour, and many of the players in the side may take some time to realign their approaches. This is a key series for India in their mission to become the best side in the world, and a series victory for the home side will be widely expected. It may feel like Ajantha Mendis has been around for ever (he’s already had a dramatic arrival on the international scene, followed by a relative fall from grace and then a minor resurgence), but it’s only about 15 months since he took 6-13 in the Asia Cup final. In that time, he is yet to bowl England’s batsmen, who nervously await in tomorrow’s Champions Trophy match. 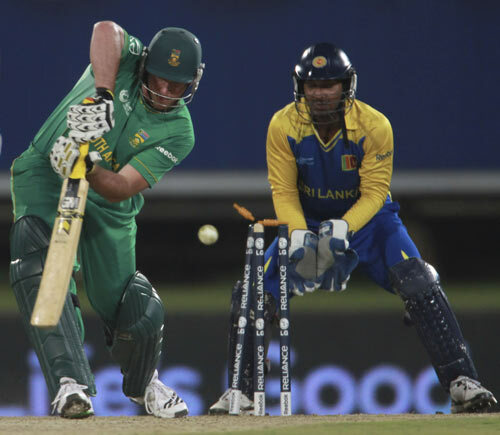 Mendis bamboozled Graeme Smith with his first ball of Tuesday’s curtain-raiser, ending up with 3-30. With England struggling with the bat throughout the latter part of the summer, he may get a similar return tomorrow. Even if it doesn’t turn, Andrew Strauss’ stomach might. South Africa have always been the nearly men of 50-over cricket, but they did win the Champions Trophy back in 1998, since when they have developed a reputation as big tournament bottlers. This is South Africa’s best chance in years to win some ICC silverware, as well as to cast off the ‘chokers‘ tag. New Zealand‘s hopes may have been lifted by their win in the warm-up match against India, which they will have needed after enduring a torrid time in Sri Lanka. The top order will need to dramatically improve if the Black Caps are to replicate their success of 2000. Sri Lanka could be dark horses, with Dilshan‘s firepower matched by the steadying hands of veterans Jayasuriya, Jayawardene and captain Sangakkara. The return of Murali and the recent form of the pace attack will worry opposing batsmen, but the side will need to take a step up to taste glory. England, having been humiliated in the ODI series against Australia, and without their two best limited overs players in Flintoff and Pietersen, will do well to win a match. The batsmen seem to fail whenever the bowlers succeed and vice versa, so expectations, it’s fair to say, will be easy to live up (or down) to. India, having very briefly ascended to the top of the ICC ODI rankings after yesterday’s victory over New Zealand, came crashing back down to earth as they were crushed by Sri Lanka in Colombo, with the home side being bowled out for a mere 168, 140 runs short of their target for victory. Sri Lanka had made over 300 mainly thanks to the efforts of ‘Uncle’ Sanath Jayasuriya (98 from 79 balls) and Thilina Kandamby (91 not out from 73 balls). India’s reply was the victim of Angelo Mathews’ best-ever haul of 6-20. If the battle for Test supremacy is hotting up between several countries, so too is the competition to be the best at 50-over cricket, even if the format itself is under threat from supporter indifference. I’m not sure Tillakaratne Dilshan has fully grasped the concept of what an opening Test batsmen is supposed to do. Filling the role for the first time in the First Test against New Zealand, he ‘steadied the ship’ after Sri Lanka had lost two early wickets by hitting 92 from 72 balls, including the fastest ever Test fifty by a Sri Lankan. It’s difficult to imagine many other Test openers reacting with in quite such an aggressive approach (certainly not any of England or New Zealand’s openers). Whilst it could be argued that Dilshan was playing high-risk cricket to a degree which is often unsuitable for the longer format, his positivity certainly turned the match in his side’s favour (from 16/2 to 134/3). Who knows? Test Cricket may just need more crazy openers – what price Afridi to open for Pakistan?